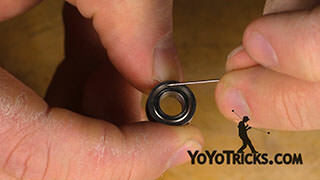 Learn how to remove a large (size C) yoyo bearing from most yoyos. How to Remove a Yoyo Bearing Yoyo TrickIn this video we will be showing you how to take a large c sized bearing out of most yoyos. In this case we’ll be using the YoYoFactory Shutter and the YoYoFactory Multitool, which includes an axle removal tool, a bearing removal tool, and a string cutter. You can find all of these products on yoyotricks.com. 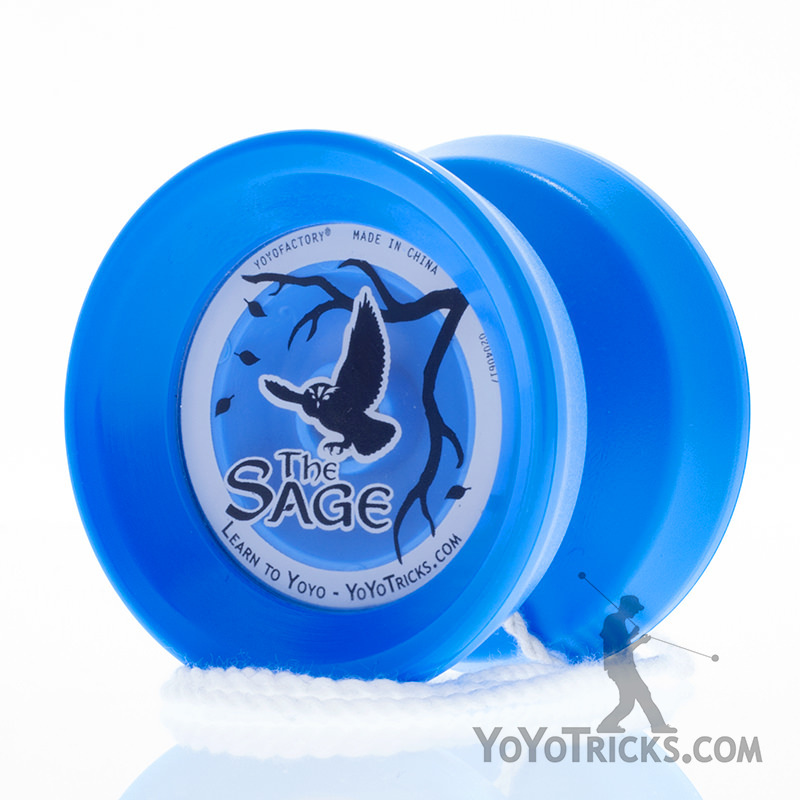 If you happen to have a Half-SPEC or a slim bearing, which come in the Sage Yoyo, all you need to do is take a pair of needle-nose pliers which have a circular cutout that perfectly fit the bearing, open it up, put it on top of the bearing, give it a little squeeze, and wiggle right out. Now back to the Shutter. 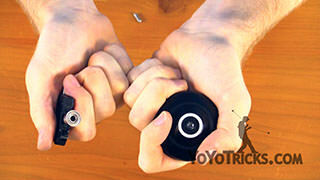 First thing you want to do is unscrew the yoyo and you’ll have one of two scenarios. You’ll either have the axle in on the same side as the bearing like we have here, or the axle will be on the other side, which makes it a lot easier. The first thing you want to do is take the axle removal tool on the Multitool and slide it into the axle and rotate it counter clockwise to take this axle out. This step isn’t necessary but it does make it a lot easier. Once you’ve done that, you’ll need to take the bearing removal tool to the bearing like this. All you need to do is give it a slight little wiggle back and forth for a couple of seconds and the bearing will come right out. If you’re having some difficulty with this, you can ask mom or dad and they should be able to help you too. A couple wiggles, just like this and the bearing should pop right out. It wants to fight back with me today. Slowly wiggle back and forth and the bearing comes out. So you can see sometimes it takes some more wiggles and sometimes it doesn’t. You also get a scenario where the axle is in the other side, and you’ll see there’s no hexagonal nut. In this case you’ll take a pair of pliers and unscrew it just a little bit and then you can unscrew the axle with your fingers. It’s pretty easy. Once the bearing is out, you can either lube it or upgrade it to a CenterTrac bearing which you can also find on yoyotricks.com. The reason the wiggle method works is because there is what is called a bearing taper. You can see there is a slight sloped ridge on the bearing seat, and that allows the pressure of the wiggling to go against the flat surface of the bearing and make it pop out a lot easier. Once you’ve done that, then you’ll need to put your yoyo back together. 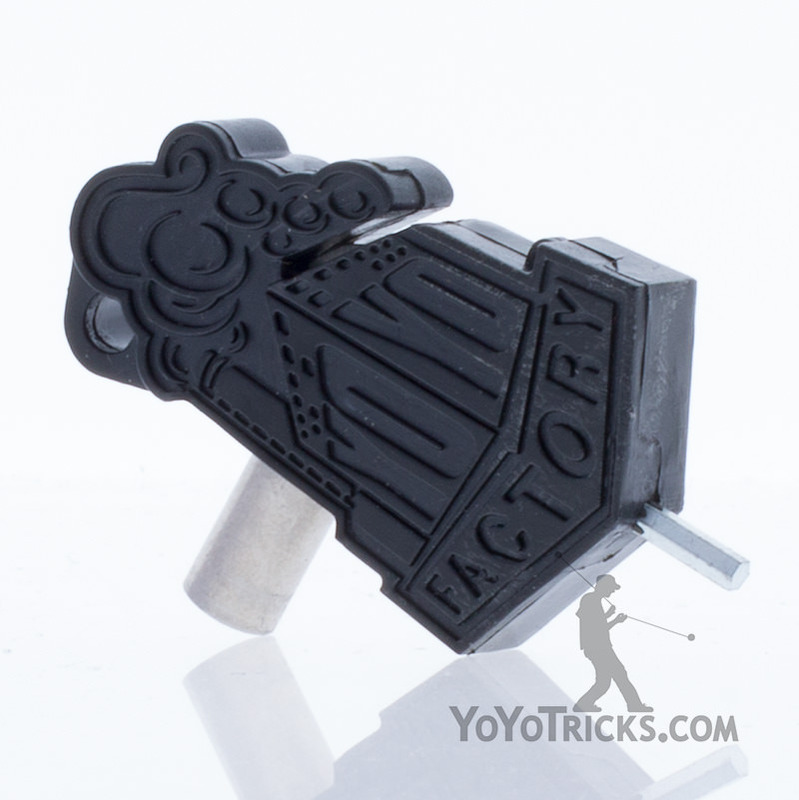 What you’ll want to do is screw in the axle with the bearing removal tool and it makes your yoyo play a lot better, it makes it perfectly aligned. 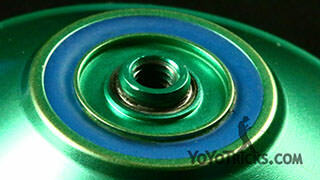 Then put your bearing in the yoyo, and simply screw it back together. And that is how you take a C sized bearing out of most yoyos.